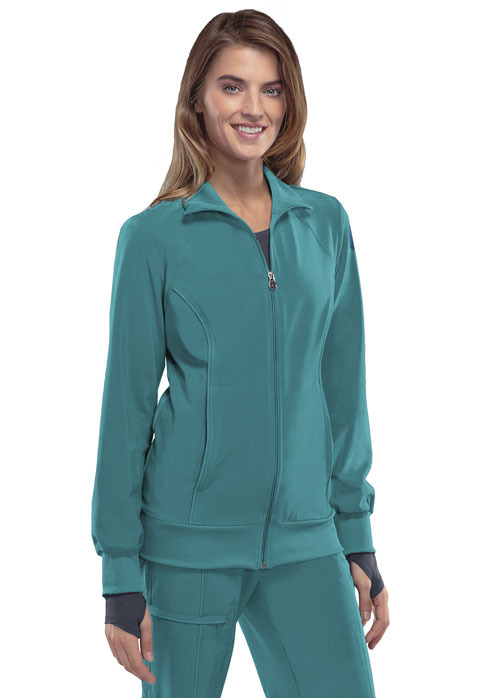 A Contemporary fit, sporty zip front warm-up jacket features front and back shoulder yokes, front princess seams with flat piping, hidden pockets with a zipper closure and a logo zipper pull. The back panel, collar, cuffs and waistband are made in a stretch rib knit for extra comfort. Coverstitch detail throughout. Center back length: 26".